This Project is a tribute to the movie ” Water Mitty” Directed by Ben Stiller, he’s also playing the main role in it. I really enjoyed watching this movie so i wanted to make this graphic tribute to it. It’s an incredible adventure where Walter Mitty , a unknown guy that never did anything crazy in his life have to take some risks and go for an epic adventure through the world. Landscapes and music are very good, i recommend everyone to watch it. I’ve tried to works on soft colors and feeling of something “dreamy” as it fit well the mood of the movie i think. Hope you guys will like it , and thanks for taking the time to visit this project ! I’ve done it mixing vector elements in illustrator and digital painting in photoshop. 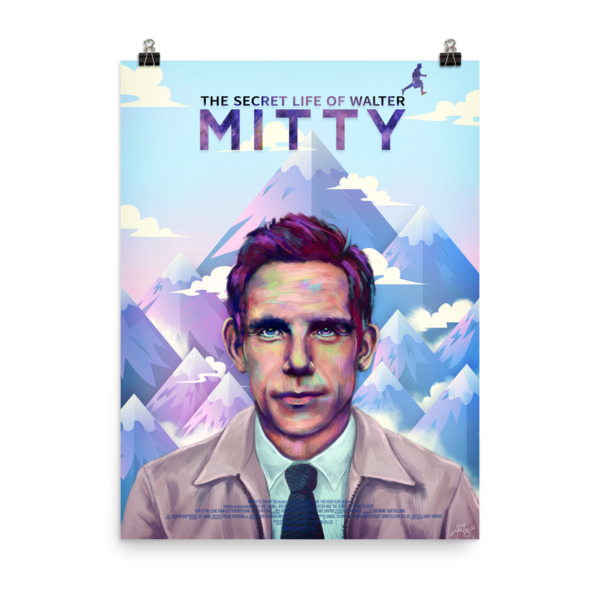 Where can I purchase a copy of the Walter Mitty Illustration? I love it! Hi is there anyway I can buy a print of this?